I have always maintained that sometime during 2014, Ernesto Colnago would make me a happy man and announce a new bike for my 60th Year. Well, guess what, Mr Colnago and co didn’t let me down. Their latest thoroughbred from the Colnago Stable is the Colnago C60. I do believe that the C stands for Codge (my alter ego*) and of course 60 stands for my age. Anybody looking at me new Colnago C60 will recognise immediately that this is a bike of beauty:made by the most talented craftsmen & craftswomen in the cycling industry . This bike is built to deliver on its promise. Its promise is to take the rider to the highest high, to glide across all but the roughest of terrains, to accelerate with ease, to corner as if on rails. This latest addition to the Colnago collection has to be the crème de la crème. So, what of the new C60 aka Codge @ 60? 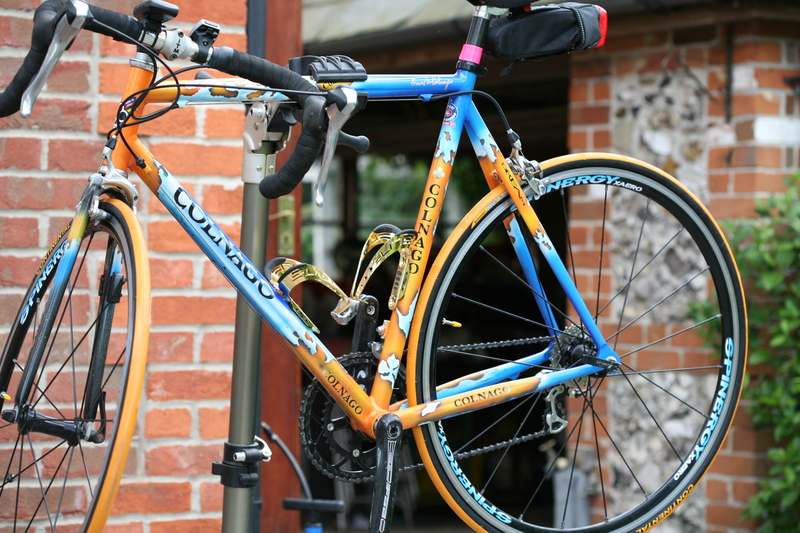 The most striking and welcome change is the return to the use of star shaped tubing so analogous to the Colnago I love and, similar to my old trusty Colnago Geo Dream; otherwise know as my Bling Bike. * My alter Ego’s: – Podge, the Fat One – Codge, the Old One.